Heartland Fifth Wheel Super Sale of Savings! We are currently overstocked with Heartland fifth wheels, so we are offering a Super Sale of Savings! Not only will you find incredible prices on these campers, but we will have financing as low as 3.99% with no payments until January of 2017! Come on down to one of our locations to participate in this sale. 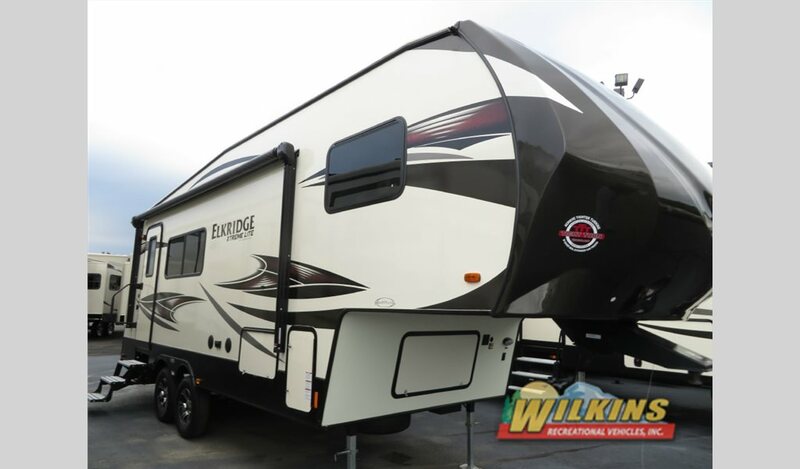 You will find an amazing deal on the 2017 Elkridge E256 fifth wheel. At the low price of $28,998, you can purchase this for only $213 a month payments, and you can enjoy the tight turn technology that comes with it for a much lower price. Get the New 2017 Heartland Elkridge Xtreme Light E255 for only $213 a month! Or why not look at the 2016 Oakmont 375QB fifth wheel? 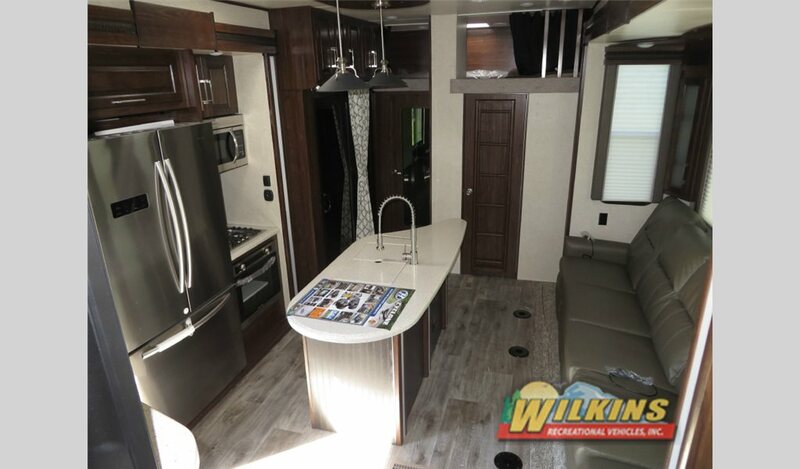 This RV comes with all of the luxury amenities inside with the addition of an outside kitchen to make cooking outdoors a breeze. Plus, at only $44,998, you will find a savings of over $18,000 and have an easy monthly payment of only $330! Save over $18,000 on the New 2016 Heartland Oakmont 375QB! We also have a 2017 Cyclone 4250 toy hauler fifth wheel included in this sale. This RV has not only the perfect rear garage for your outdoor toys, but it also has two outdoor patios to give you multiple places to enjoy the great outdoors. 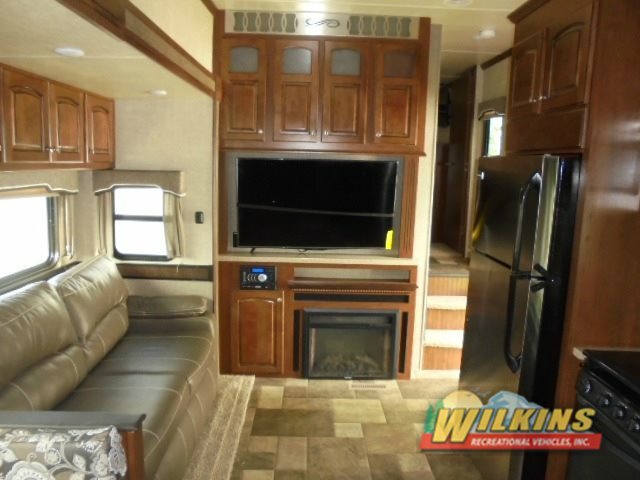 You can find yourself living luxuriously in this camper for only $89,998 that has been marked down from $106,365! Get both a fifth wheel and a toy hauler with the 2017 Cyclone 4250! These are only a few of the Heartland fifth wheels that have been included in this Super Sale! Plus, with up to $4,000 worth of manufacturer’s rebates, you will absolutely leave with the best deal possible. If you have any questions, you can contact us to find out all about this sale as well as any of the other deals we have on the travel trailers, toy haulers, and more that we offer. Then, you can take advantage of our free winter storage until spring 2017 to keep your new RV safe until the weather gets nice again.